December 14, 2018 – Zimmer Biomet, a global leader in musculoskeletal healthcare, is celebrating a decade in Ireland. A leading employer in Shannon and Oranmore, Galway, the company’s footprint in Ireland now features two state-of-the-art manufacturing facilities plus a professional education centre that attracts healthcare professionals from around the world. Zimmer Biomet recently announced the appointment of Claude Costelloe as its General Manager and Site Leader for Ireland. A Limerick native, Claude previously served as Operations Director of the Shannon Zimmer Biomet Facility, which he joined in 2012. A veteran of the Medtech industry, Claude is a graduate of UL and has held leadership positions in the Electronics and the Engineering sector for over twenty years. Speaking of his recent appointment, Claude said it was a privilege to be asked to lead two of the best performing sites in the global Zimmer Biomet Network and that he was looking forward to working with the outstanding teams in both Shannon and Galway to grow the company’s presence in Ireland. My career has progressed so much at Zimmer Biomet over the last five years. I joined in January 2013 as a Product Builder, where I worked with a fantastic team. A year and a half later, I joined the MES team as a trainer for the Shannon roll out. In 2015, I was promoted to the role of MES Technician to help build work flows for the Oranmore plant. I very much enjoyed this role as I was part of the set-up team, which was a fabulous opportunity to learn new skills. In December 2015, I was again promoted, this time to Production Supervisor for the Clean and Pack area. In September 2017, I was promoted to Value Stream Lead for Production in Oranmore. This is a very varied role, where I get to work with all functions of the business daily. I started my career in Zimmer Biomet back in 2011 as a Product Builder. My career path has taken me through many promotions, including the role of Group Lead, to my current position as Production Supervisor of Clean and Pack. Throughout my career, Zimmer Biomet has given me unwavering support and guidance. Seven years later, I believe that our path together is only just beginning. I look forward to a bright future with Zimmer Biomet! Zimmer Biomet has provided me with a brilliant progression path over the last five years. I started with Zimmer Biomet in 2013 as a Polisher but took a keen interest in further training. A year and a half later, I was fortunate to be promoted to Group Lead on the evening shift. This gave me great exposure to the daily running of the business. I then started a Green Belt course in IT Sligo, which was supported by the company. I was successful in being appointed as Production Supervisor in June of 2016. Zimmer Biomet has also supported me to do my Masters in UL. When I was interviewed nearly eight years ago for a Product Builder position, I was told that there would be a lot of opportunities for anybody who is willing to take them. Two years later, my opportunity came along a when I was hired as a MES Technician. This turned out to be a great opportunity to learn everything from master data cleansing to project management. Since then, I have gained invaluable experience in a variety of different roles from MES Deployment Lead and Senior MES Analyst to MES Leader and now into a management position. Each role has given me a greater knowledge of the business. In each position I have received guidance and mentoring from so many people. 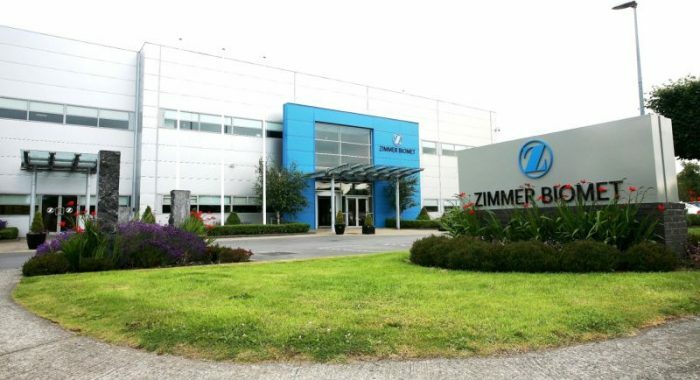 I am very excited about the future and am working on several interesting projects that will further progress Zimmer Biomet as a leading orthopaedics manufacturing operation. I started label printing as a Product Builder in the Clean & Pack area. Within a matter of months, I had progressed into Cosmetic Inspection and running different machines. There are so many opportunities within Zimmer Biomet. I have now advanced to the role of Quality Technician. The variety and daily challenges associated with this new role have helped me to develop new skills. It is a company where hard work and dedication are recognised and rewarded.